He produced over 4000 different poster stamps which have become very popular in cinderella philately. 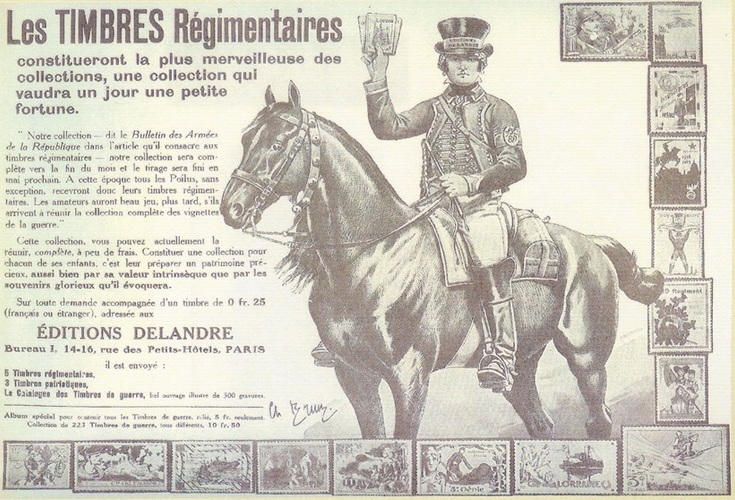 and labels for the French Red Cross - without paying them their share. Therefore he went to jail where he died 6 six years later. 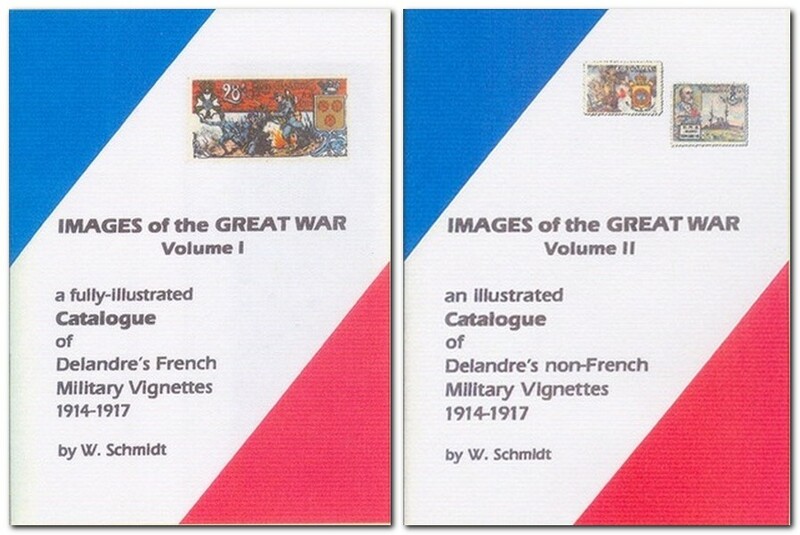 Walter Schmidt produced two catalogs about the French and non-French military “Delandre's”.